Netflix and Verizon haven’t exactly been the best of friends this year. As the quality of the streaming video service got progressively worse for Verizon FiOS customers, the two companies spent months taking pot-shots at each other before finally resolving the problems in recent weeks. And so it comes as particularly surprising news that Verizon FiOS, of all the broadband and pay-TV companies out there, has become the first of the big players to offer Netflix subscriptions to new customers as part of their subscription bundles. Don’t get your hopes up for this new bundle to come to a set-top box near you just yet, though. As Mashable reports, for the moment this is an extremely small, limited-time promotional trial. The offer is only open until November 1, and only to customers in and around New York City. 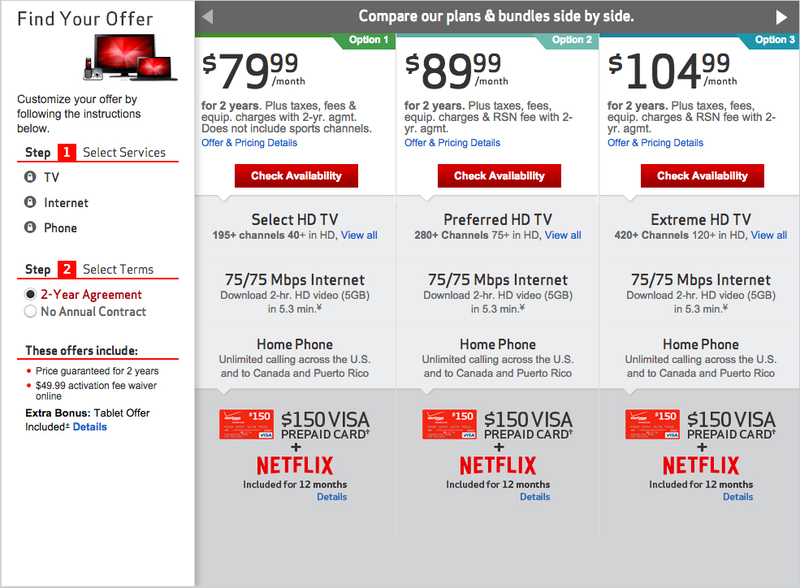 The triple-play bundles, as listed on Verizon’s website, all include 75 Mbps broadband as well as various TV channel packages and landline phone service, and start at $80 per month. Once upon a time, Verizon tried very hard to launch their own competitor to Netflix. However that streaming video service, Redbox Instant, was basically a dud. It shut down permanently just a few weeks ago. Although Verizon’s streaming service didn’t take off, they still offer both pay TV and broadband service to their FiOS customers. And Netflix both is and isn’t competition. The two companies are fighting for the same pay-TV subscriber dollars, it’s true. But customers still need a strong broadband connection in order to get their daily 90-minute dose of streaming TV. In that sense — where Verizon gets you access to content and Netflix is content — the two should be natural promotional partners. Even if they have spent so much of the year at each other’s throats. It seems that for now at least, the companies have realized that, too. 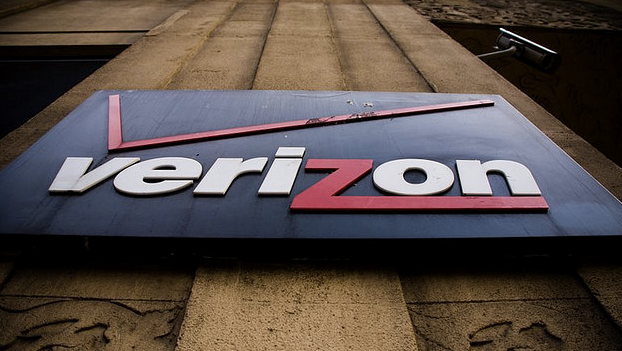 Maybe Verizon’s trying a new motto: if you can’t beat ’em, join ’em. can you sue me now?